Belgian election fever: reflections on extremism and their outdoor print ads. 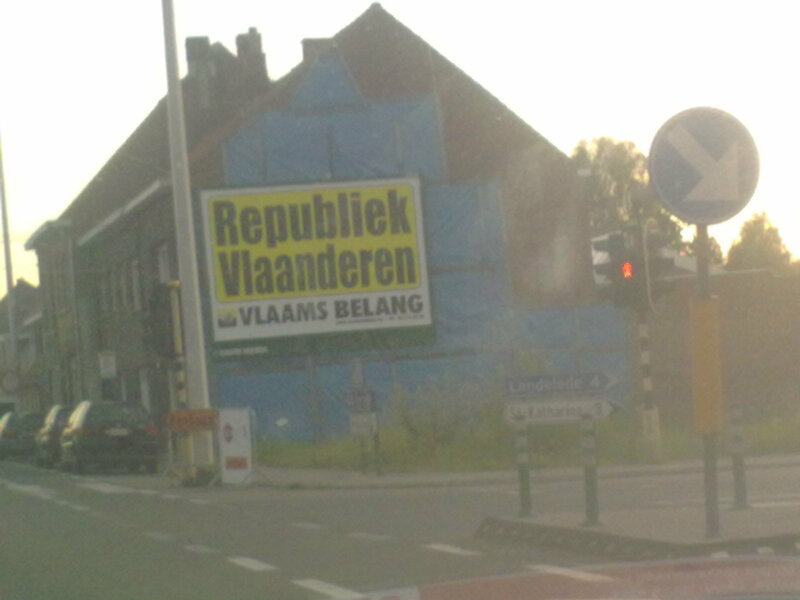 Regardless of the fact that we are facing elections again in Belgium, I want to discuss the outdoor print poster of the right extremist party. For your information, they’re very nationalist. They rather see the northern (dutch-speaking) part of the country become a separate state instead of cooperating with the southern (french-speaking) part. Their driving factors are: a different language, a differently organized economic structure, money that flows from the north to the south, etc. As stated above, language is a major point in their (ehrm) “ideology”. 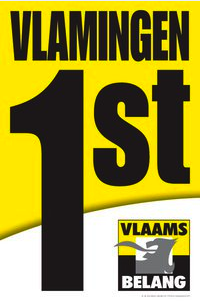 So they state in their posters: “Flemish people first” – written as “Vlamingen 1st”. Either they make a dutch spelling mistake or they introduce English (1st, means first) into their campaign… Isn’t this a bit strange for a party who has Dutch language at the core of its existence? The ambiguity is clear to me…Empowering the stupidity of the right-wing. I could have understand this poster without worrying when the party had received list number 1 for the election. From a marketing point of view, the big 1 would have made clear that they were the first party on the election sheet. Nonetheless, they are not. They received number 7. The irony in here is that number 1 was granted to the flemish social-democrats – their ideologic counterpart.